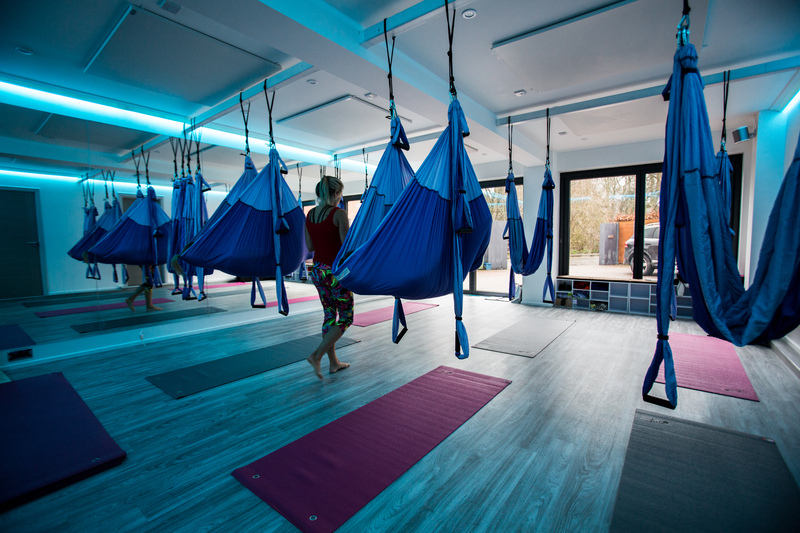 Milton Keynes Yoga Trapeze Centre | New to Yoga? Yoga keeps the body healthy and fit and the mind clear and calm. Here at our Milton Keynes Yoga Centre, we support the physical body by building strength, balance and flexibility, and enhance the mind by increasing concentration, determination and patience. With dedicated and consistent practice, yoga will help to reverse the effects of aging, regulate metabolism, reduce stress, and help relieve chronic pain. Simply put….yoga makes you feel amazing, inside and out. 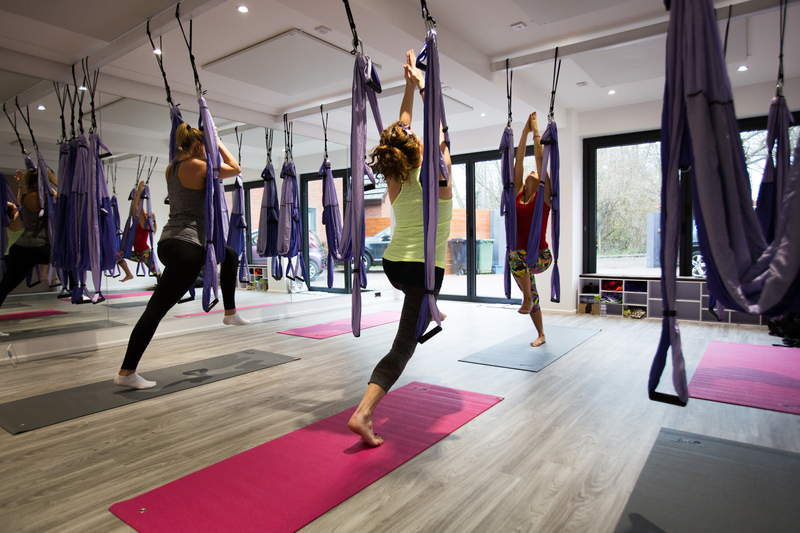 If you have not tried yoga trapeze before, we suggest you book a place on one of our beginner classes at our Milton Keynes studio to allow you to get your bearings. Please contact us here to ask any questions and arrange your first class. 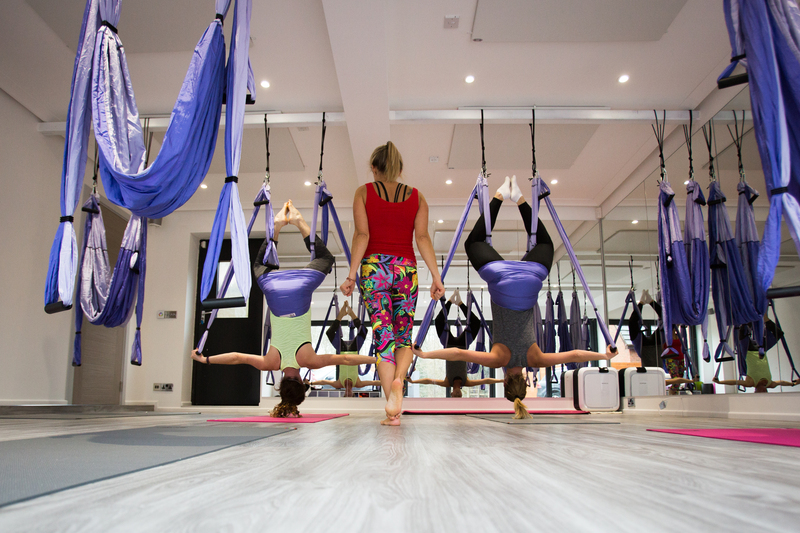 Introducing yoga trapeze… Powerful yoga inversion classes. Yoga Trapeze will change your backbends for forever… Less pain and more flexibility with balance upper body and core strength. Yoga Trapeze is the most natural form of inversion therapy that lengthens the space between each vertebra. Think of it as an all-natural instant spinal traction system – everything you need to reduce chronic lower back pain, support and assist the body in deeper backbends that normally cannot be accessed, assist building core and upper body strength through various movements & allowing you to get upside down, reverse your blood flow & send fresh oxygen to the brain. 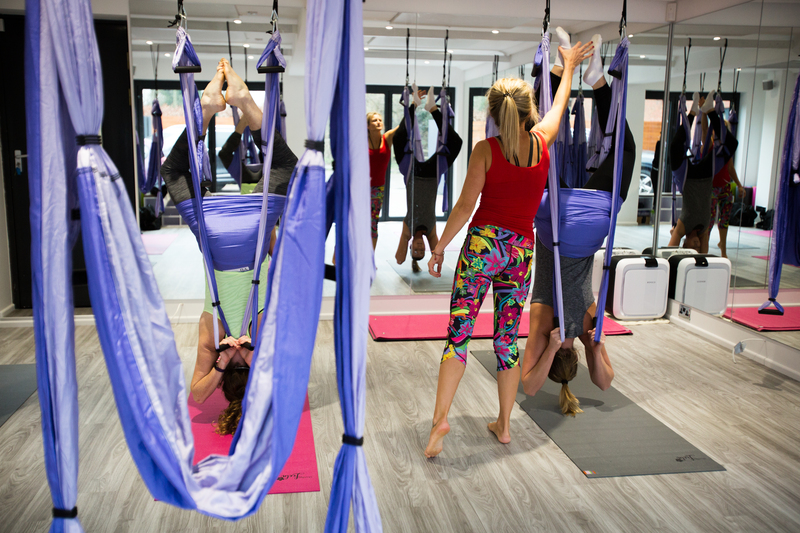 Yoga Trapeze is Instant Inversion Therapy – less pain and more flexibility with balance upper body and core strength…… prepare to be invigorated & inspired at Milton Keynes’ only boutique Yoga Trapeze studio. 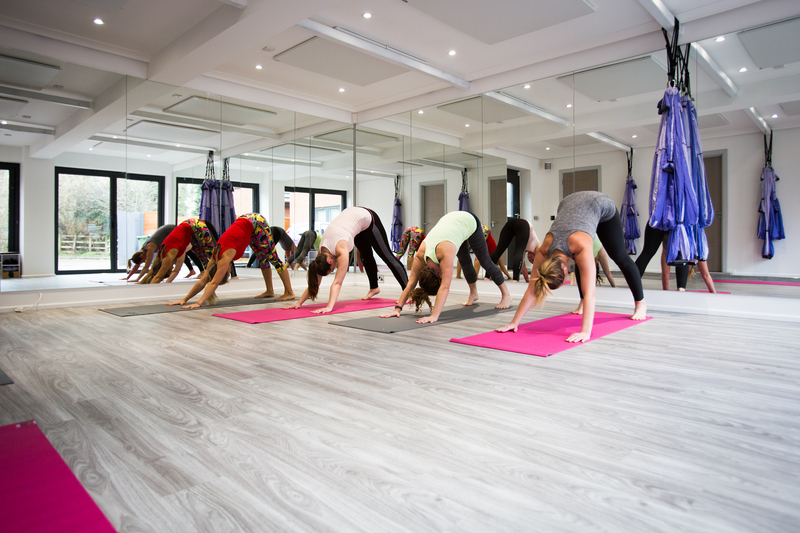 Introducing hot yoga… Where our classes are held in our artificially heated yoga studio in Milton Keynes. In hot yoga you will sweat like never before as you work your way through a series of 52 poses. A hot yoga class always follows the same sequence and is largely the same thing as bikram yoga with some slight differences. Studio Leela will be heated to 38 degrees and 60% humidity. 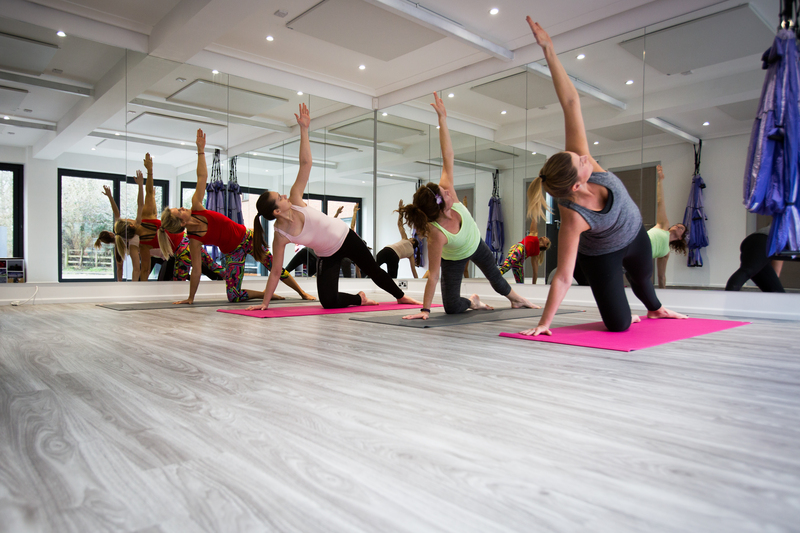 Hot Yoga will help you detoxify through heavy sweating whilst also elevate your heart rate making the body work harder making it comparable to a cardio workout at the same time as developing strength, flexibility and toning. 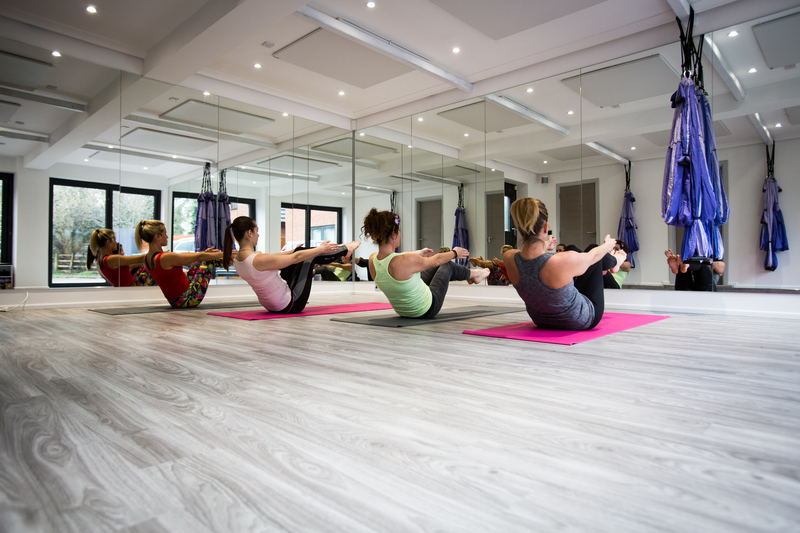 The heated studio also allows you to go a little deeper and more safely into postures through the warming of your muscles…… prepare to sweat buckets!